If you’re running a startup outside of the United States, introducing your product or service to the US market can be a key opportunity to dramatically increase your customer base, get in front of investors, and even boost your credibility. However, launching in the US requires a significant amount of research and a careful execution plan. Despite the overabundance of information available, many startups outside of the US still find the idea of launching in the US incredibly daunting. Over the years, I’ve worked with a number of startups, mostly in Latin America, who always seem to find a reason to delay tackling one of the largest consumer bases in the world. With offices across the region — in Mexico, Argentina, Chile, and Colombia — these startups are not afraid of expanding beyond borders. However, they are intimidated by the idea of launching in the US and navigating a new business culture. They tell me that there is too much competition in the market or that it’s too difficult for them to compete from abroad. Even though, more often than not, these are companies that have already established a demand for their product. They just don’t realize that they can compete in the big leagues in the US — and that they can even do so from abroad. Many startups quickly learn that expanding across a region, for example from Chile to Mexico and Colombia, can be just as difficult as launching in the US. The advantage of focusing on the US first is access to a large, unified market that often has much more potential than all of the countries in another region combined. To establish your company in the US, you don’t need a full team on the ground right away. It’s possible, and usually more cost-effective, to keep your development and customer support teams in your home country until you figure out which team members are the most vital for your operations on the ground in the US. Of course, expanding to the US comes with its unique challenges. But, if your startup is successful, you are much more likely to garner attention globally and to grow your venture faster with a presence in the US. My advice is simple: Startups shouldn’t be afraid of the US market. In fact, they should view the US market as a key opportunity to expand outside of their home markets. 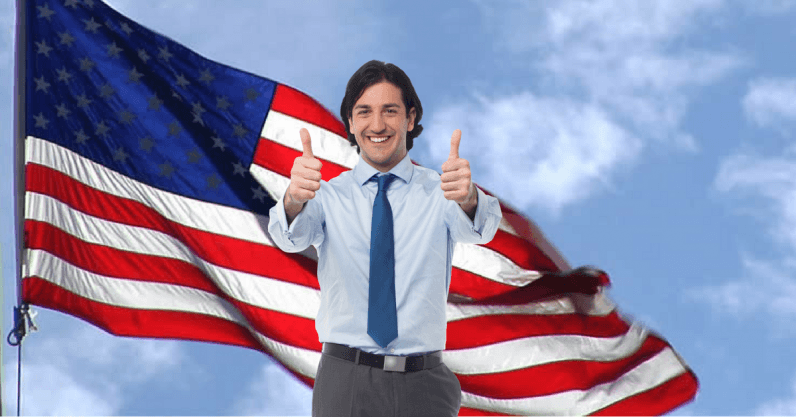 So if you are running a company outside of the US and still on the fence about whether or not to enter the US market, here are six signs that your company is probably ready to make the leap. The first sign that your startup may be ready to tackle the US market is if you are focused on a niche market. If you have a specific product that targets a well-defined consumer base, then it will be easier to scale and grow your company abroad. Not only will you be able to outcompete existing competition based on one or two key metrics but you’ll also need less capital to do so. After launching in the US, your team must keep innovating and creating value that will leave competitors in your niche constantly trying to keep up. The higher you can set the bar, whether it’s by operating leaner or offering cheaper rates, the harder it will be for the competition to match your offerings. Vertical sales of a product or service are sales that are limited to a certain number of market segments, rather than all markets. For example, a startup may have products tailored to the needs of customers in one vertical, such as the banking sector. By contrast, a horizontal sales strategy is used with a product that meets the needs of customers in a number of market segments. An example here is if a startup sells office supplies online to a number of companies in different industries. For most startups, the horizontal approach can be difficult to maintain when scaling to the US, even if there is a larger customer base there. But, if your startup focuses on just one or two vertical market segments, then you can be sure you’re providing the best possible product for that segment and outcompete more horizontally-focused products in the US. Most importantly, you need to be strategic about your market segment choice. Where does your most valuable customer segment live? How do you connect with them and teach them about your company? The market segment you cater to in your home country might not translate over the US, but if you do your research ahead of time, you’ll have a good idea of where your product will land best. With so many technology startups in the US, competition for customers can be fierce. The good news is that almost any company operating outside of the US is accustomed to a lean operating model and innovating with limited resources. If you know your competitors’ strengths and weaknesses, then you are also well-positioned to serve new customers or to pivot to serve a new segment in the US. Just remember that when you introduce a new product into the US market, you have the appropriate intellectual property rights or patents. Consider partnering with someone on the ground who understands the US regulations in your industry and can make sure you’re covered. With over 320 million consumers and millions of businesses, the US offers a huge opportunity in terms of market expansion. However, the US market moves quickly and requires startups to adapt to keep up. Startups that overestimate their ability to handle an excess volume of sales, putting a strain on their technology, may not be able to endure in the US market. But if your company is well-prepared on the technical side, then you will be able to continue to adapt your product as needed and support a growing customer base. To scale your company in the US, you will likely need to have a few boots on the ground, which means spreading your team thinner and assuring you have good new hires to help the company grow. Uber and Airbnb have done an excellent job expanding to other countries by sending core team members abroad to establish a presence while hiring local talent. Startups can learn a lot from their expansion strategies. Startups with a presence in Latin America have strong potential to expand because they are used to operating under more challenging circumstances and can operate more efficiently than their US competitors. Though it may be more difficult to get access to the capital necessary to expand to the US, startups in Latin America that have a proven business model and sufficient revenue may be more able to adapt than competitors and stand out in the long-term. There are a number of benefits to expanding your startup team to the US from Latin America. With minimal time zone differences and lower operating costs in Latin America, you can keep your development teams in Latin America, or allow them to work remotely, and get the same job done for cheaper. Talented tech experts in Latin America expect $40-70 an hour compared to $80-$150 an hour in the US, and a number of US companies are now outsourcing work to Latin American professionals. By keeping your home base in Latin America, your startup can keep operating costs down, since having an office and staff in the US is more expensive, and keep your talented staff while you expand abroad. Getting started in the US market requires the ability to pitch your idea to prospects and to tell customers how your product will solve their problems. As a founder, you must be able to communicate your ideas to an audience that is fluent only in English. Among other cultural issues you may come across while trying to create a presence in the US, the importance of being able to communicate with your prospects fluidly cannot be underestimated. If your startup has recruited English-speakers, or currently partners with English-speaking marketing and sales teams, then expanding to the US will be a much easier process. You can be certain your website and messaging sounds natural and is culturally relevant. The US market moves fast. Nonetheless, consumers are usually more open about trying something new as well as more forgiving should they encounter a technical flaw with a product or service. I would encourage any startup outside of the US with traction in their home market not to be afraid of introducing your product or service to US market as soon as it makes sense for your company. Not only will you discover new opportunities that you might not have ever discovered by playing it safe at home but you’ll also be able to dramatically grow your company and increase your chances at gaining global recognition.